European countries all have their own rich history and cultural heritage. But Eastern Europe is different. There is always a bit of tragic in the incredible heritage of the Eastern European countries. Eastern Europe has a dark past. Countries appearing and disappearing throughout the centuries, wounds of the World Wars, the Jewish quarters, the socialism and communism, Hitler, Stalin, the gulag… Nations whose freedom were taken away. Its history amaze us but it also breaks our heart. Maybe even more because that’s where we are from. These heavy roots are our roots. 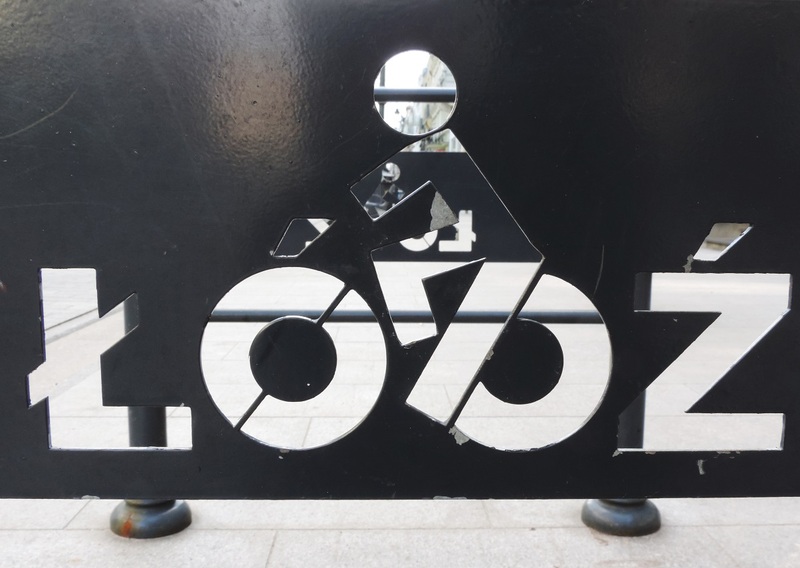 Visiting the city of Łódź in Poland reminded us of that again. 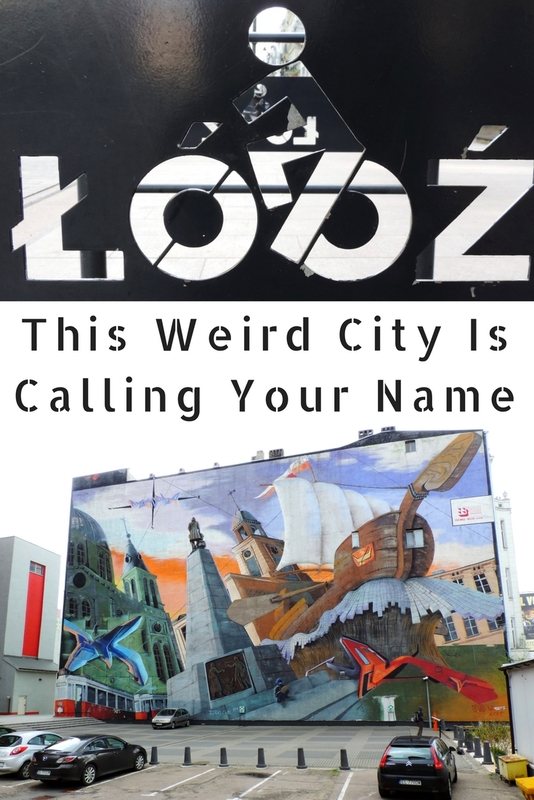 Have you never heard about Łódź? Well, it’s very different from a typical touristy city. It’s an industrial city in fact but quite a weird one. At least that’s what we heard about it. 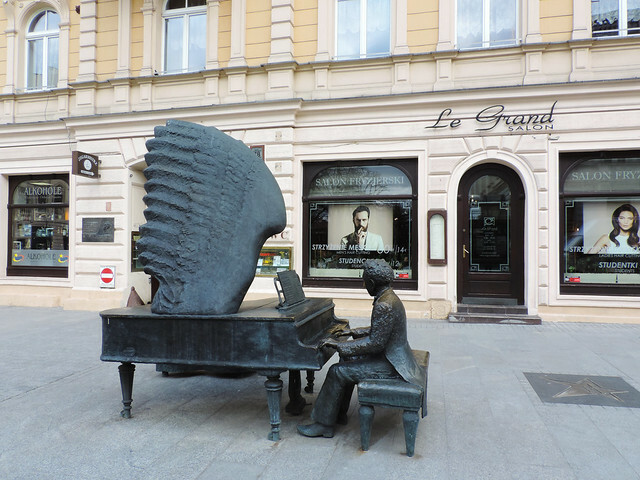 So when we visited Warsaw this Easter we decided to stop in Łódź for a day on the way. We were curious what being weird means: good or bad? And now we are so happy we stopped there. We’ve never seen a city like Łódź before. It’s weird, that’s true. But in a good way. It’s a dead industrial city and an awakening funky, artsy city – that’s how we could summarize our impression after spending a day there. In one hand there are old abandoned buildings and factories and large blocks of those ugly grey buildings so typical in post-Soviet countries. On the other hand colorful street art is everywhere, the roof of the main bus station looks like a rainbow, an old textile factory was turned into a modern shopping and cultural center (called ‘Manufaktura’) and there are a lot of statues and cafes that fit perfectly in this new center of contemporary art. Piotrkowska Street is the main walking street in Łódź. It’s unique because of several things. Firstly, it’s over 5 kilometres long running from north to south in the city center. Another strange thing is that most of the beautiful historical buildings are located along this one street – with a few exceptions but even those are close by. 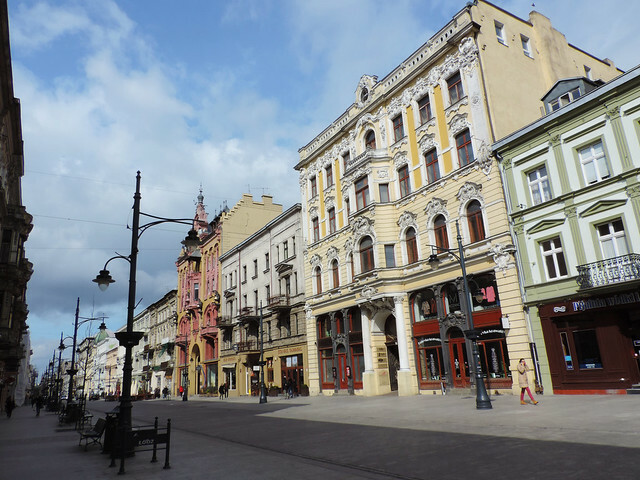 Wonderful facades and balconies took us back into the 19th century while walking along Piotrkowska Street. Then the Palace of Izrael K. Poznański, Alexander Nevsky Cathedral and Leopold Kindermann’s Villa were all worth a short detour from Piotrkowska. A section of Piotrkowska Street is called the ‘Polish Walk Of Fame’ where the stars of famous Polish actors and artists can be found. 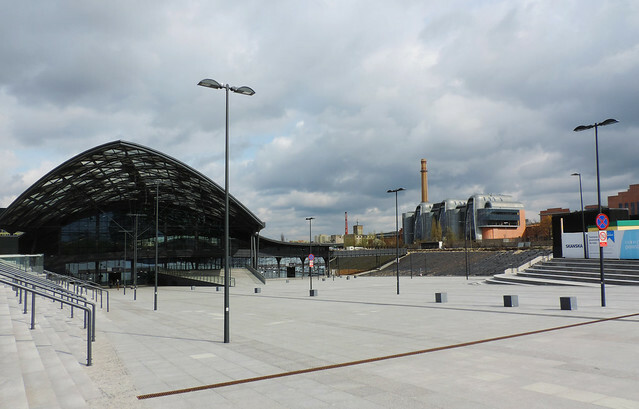 Łódź is a perfect city to host an attraction like that as it’s the center of the Polish film industry. It’s internationally known for its National Film School and this is where directors like Andrzej Wajda and Roman Polanski started. Łódź is the third largest city in Poland but it was not always like that. It was quite an insignificant settlement until the 15th century. 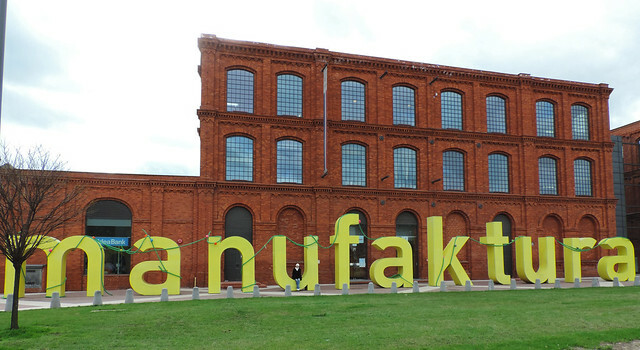 It changed during the time of the industrialization when a rapid growth started in the cloth industry and a lot of immigrants arrived to Łódź. By the 20th century Łódź became an important multicultural and industrial center in Europe. After the invasion of Poland before the Second World War, the German Army captured the city and they even took away its name – renaming it to Litzmannstadt. The Jewish residents were forced into the Łódź Ghetto and they were sent to German concentration and extermination camps from there. Then during the Soviet era Łódź experienced another period of prosperity as industry was very much in focus everywhere in Eastern Europe. It also shared the common fate of such industrial cities after that era: industry declined, factories became empty and economical and social challenges followed. The whole city reminded us of these sad facts. 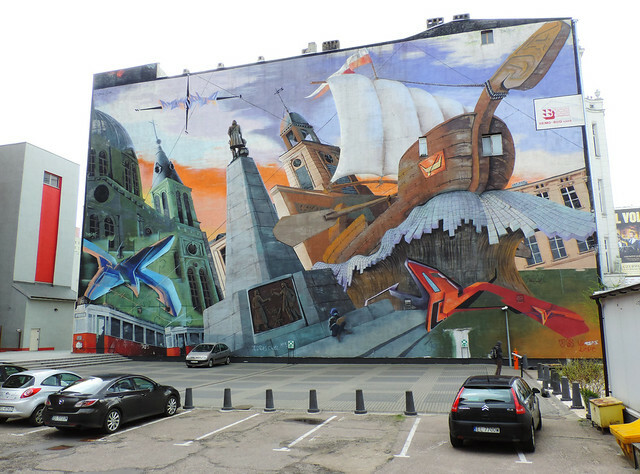 But Łódź doesn’t only have a sad face – it has a colorful and hopeful one, too. That’s what actually makes it such a weird and captivating place. All in all, we liked Łódź. It was nice and exciting to walk around in the city center, explore the parks, churches, hidden courtyards, statues, street arts. 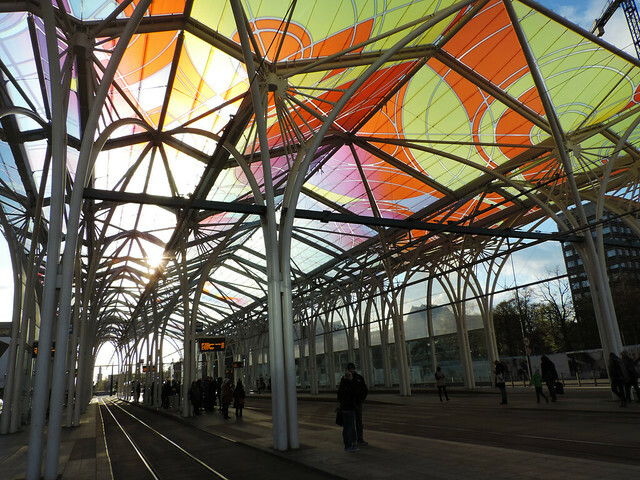 We liked how a former industrial city was transformed into a colorful artsy place. Actually, it shouldn’t be past tense, it’s happening right now. And the colorful street art popping up everywhere in the grey jungle of old house blocks is like the symbol of hope for us. 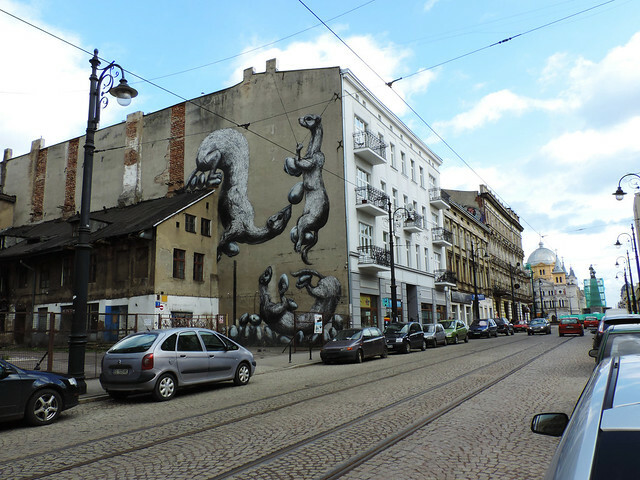 Łódź is definitely a place that’s worth keeping our eyes on and we are really curious what it will become. What is the weirdest city you’ve visited?